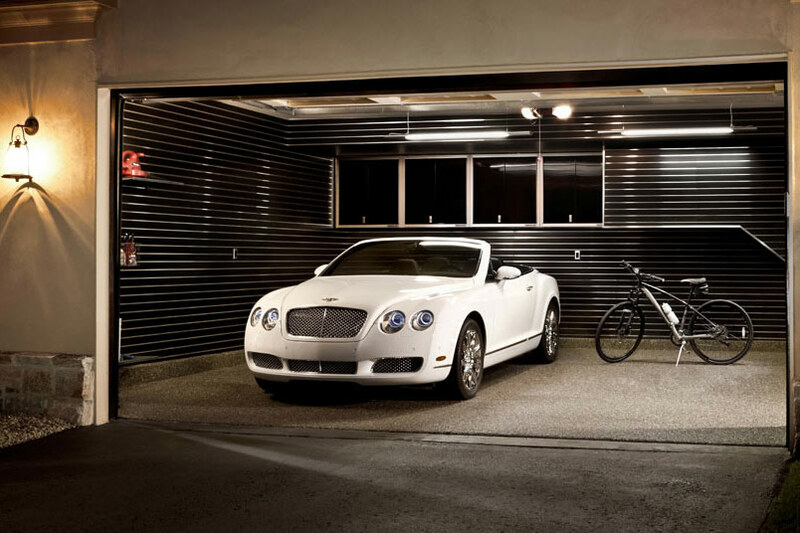 A Birmingham resident and car aficionado desired a clean and sleek second garage and gym. 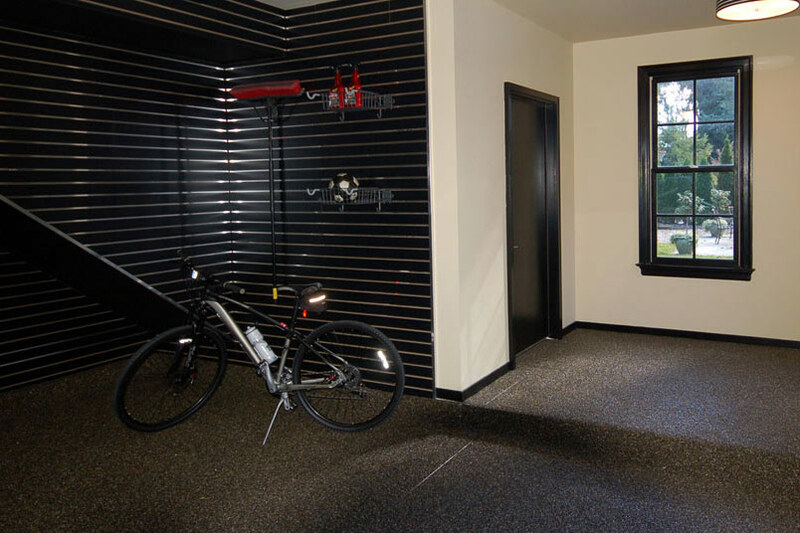 This goal was achieved by combining unique aluminum cabinets generally used for NASCAR race trailers with SlatWall intended for retail fixture use along with a very unique flooring system. 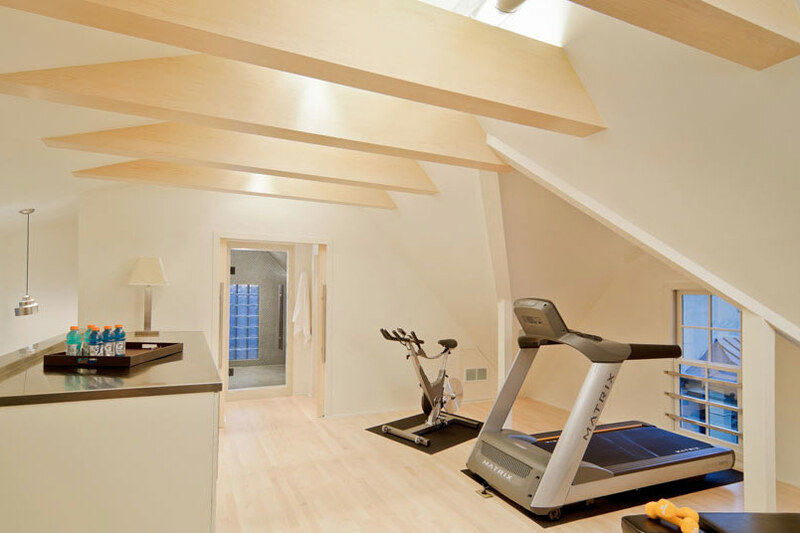 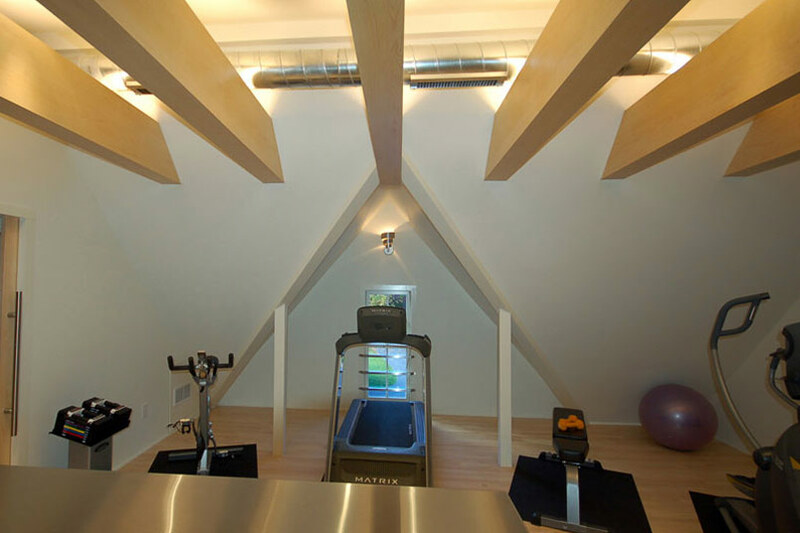 The bold lines of the garage contrast with the Zen atmosphere of the private gym and yoga room. 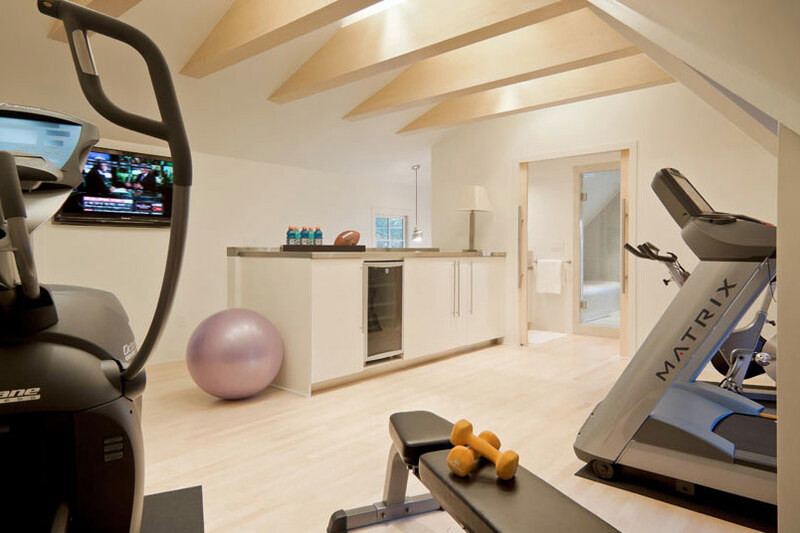 The three finishes: maple wood – floors, ceiling beams and doors, stainless steel – exposed ducts, bar top, light fixtures and hardware, and white color – cabinets, tile and paint accomplish that goal.